This week I had to take a break and sew something easy and satisfying. Mostly because my sewing time was being taken up with watching live fashion shows from New York Fashion Week** -- have to keep up on those, you know! So with reduced time for actual sewing of my own, I decided to remake a wonderful fabric into a practical skirt. 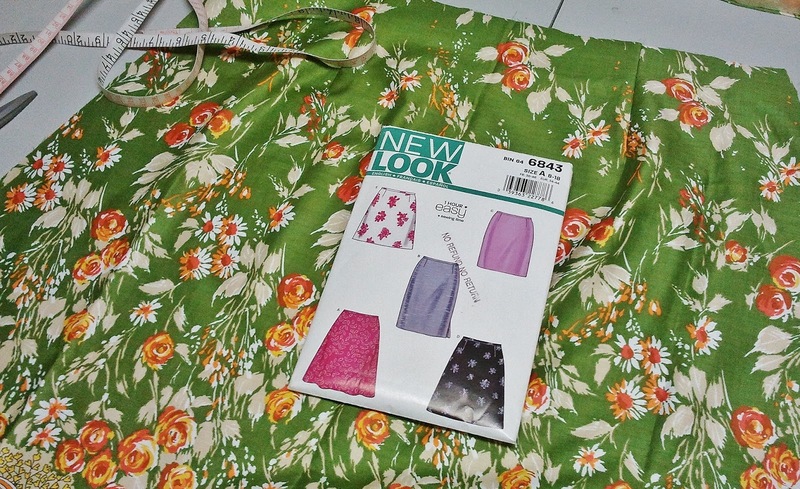 So on to Plan B. I looked through all my skirt patterns to find just the right one for this fabric. 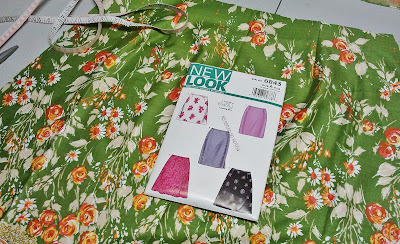 I ended up going with the basic A-line view of New Look 6843, which is also the pattern I used to make my first ever skirt, one I still wear! I pressed the pillow sham so that the serged seams were now in the middle, so I could cut my skirt pieces avoiding that chunky seam. 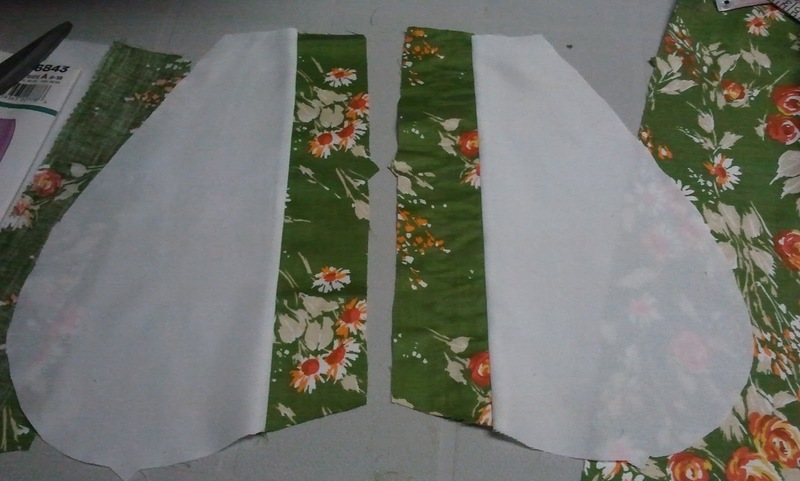 I also left the skirt a good bit longer than the pattern, as I didn't want to waste any of my wonderful print. This pattern is so basic and reliable! I cut size 16 and the only adaptation I made was to add some side seam pockets (I just grabbed Butterick 6090, as it was handy in my sewing queue basket, and copied the pocket piece). I wanted to use self-fabric but there just wasn't enough -- so I cut them out of white cotton and just used a strip of the remaining print at the edge of the pocket. That way, if/when the pockets gape there won't be a flash of white. Anyhow, it's a simple, well-fitting skirt pattern that I recommend, having made it twice now. It has a narrow waistband that actually sits at the waist, which I like. Comfortable and sleek, with two darts in front and four in back, which allows for a very nice fit. I like this version in its below-the-knee length, and feel like it was a great project to get back on track, just in time for autumn to arrive! **New York Fashion Week was very absorbing. I loved lots of the new looks -- much lace, embroidery and romanticism, which I am very drawn to even if I don't wear it much myself. But the highlights were some of the wonderfully produced runway shows. My favourites were Prabal Gurung's ode to Nepal, and Givenchy's stunning Sept. 11th show. Your fabric is perfect for this skirt and is such a beautiful match with your top. Lovely outfit. This is a good end of summer skirt -- all the colors are vibrant to remind you of summer!